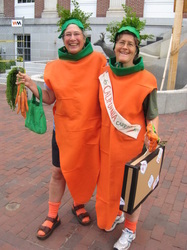 What's the point of dressing up like a carrot and showing up in front of Burlington's City Hall?? In this case it was to invite comment and conversation about local food versus transported food...what were issues. In the photos you can see Lucy creating the suitcase for the beautiful California Carrot. 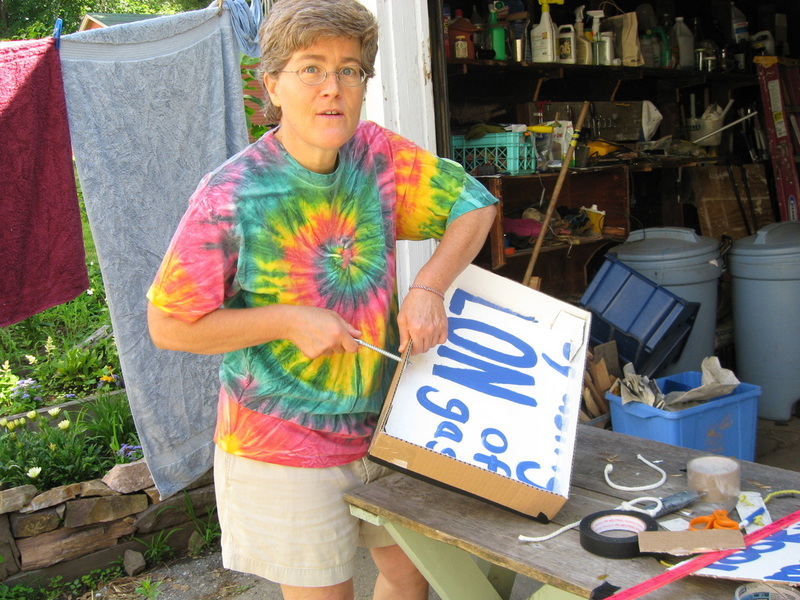 She's got stickers to prove she's traveled a long way to get to Vermont. I'm disguised as the local carrot. 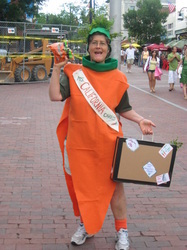 We loved doing a little impromptu street theater as folks passed by to get them engaged in the conversation. 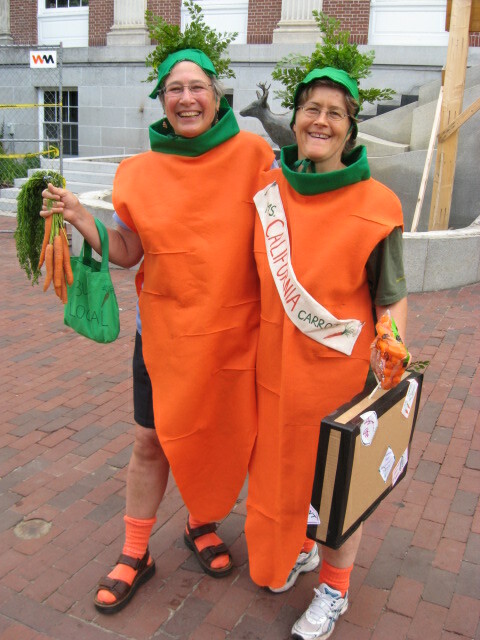 The carrots and the carrot suits are available for future airings!